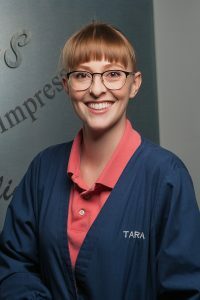 Tara has been a part of 1ST IMPRESSIONS Orthodontics since 2013. She is a Graduate of the Colorado School of Dental Assisting. She brings many years of Customer Service to the 1ST IMPRESSIONS Orthodontics Team. As a former patient of 1ST IMPRESSIONS, she knows first-hand what a perfect smile can do to boost one’s self-confidence! When she’s not perfecting smiles, she spends time with her husband Sean and their pets enjoying the beautiful outdoors of Colorado. Schedule An Appointment Today With Your Denver Orthodontists!